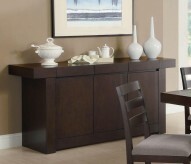 This stunning modern Server was designed to be the center of attention by enhancing any dining decor. 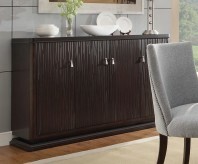 The floating top adds a unique visual element that draws your eyes right to the piece while also offering a creative way to put your home accents and decor on display. 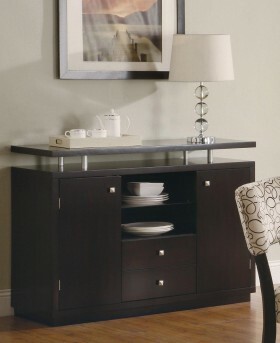 Two storage cabinets make it easy to tuck away your precious china and dinnerware, while two lower drawers and two shelves also offer plentiful space for storage. Silver hardware square knobs top off the buffet, making this a modern marvel for your home. 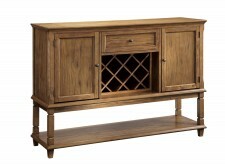 Add extra storage space to your dining area with the trendy Libby Server. 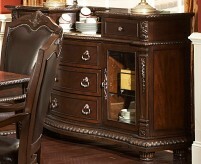 Crafted in solid poplar and birch veneers in rich cappuccino. 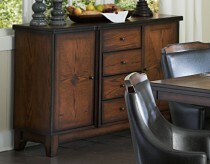 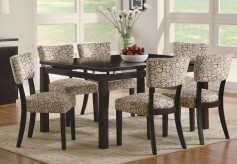 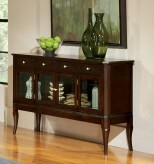 Furniture Nation is proud to offer the Libby Server online. 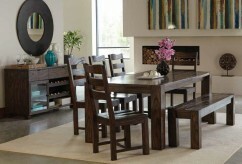 We serve customers across the DFW region including Dallas, Lewisville, Denton and many more. 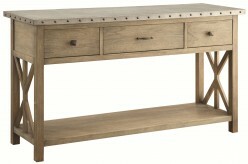 L48" x D18" x H35.5"